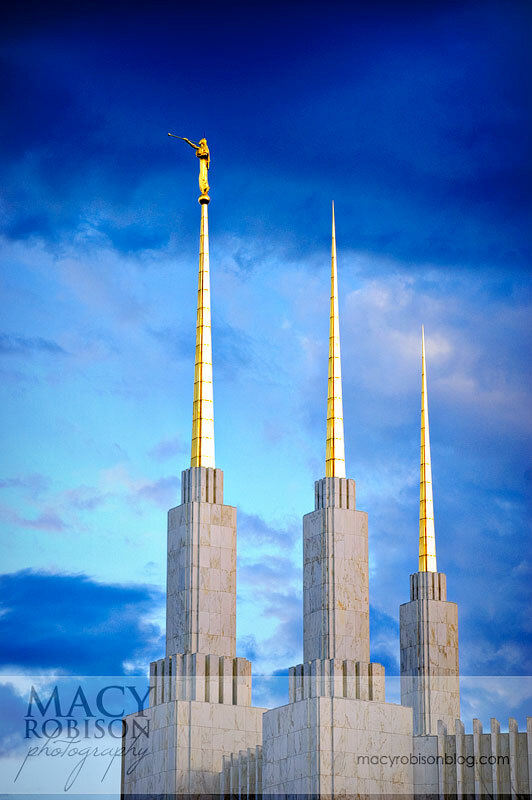 I've always loved the Washington DC Temple. I very clearly remember seeing it for the first time. 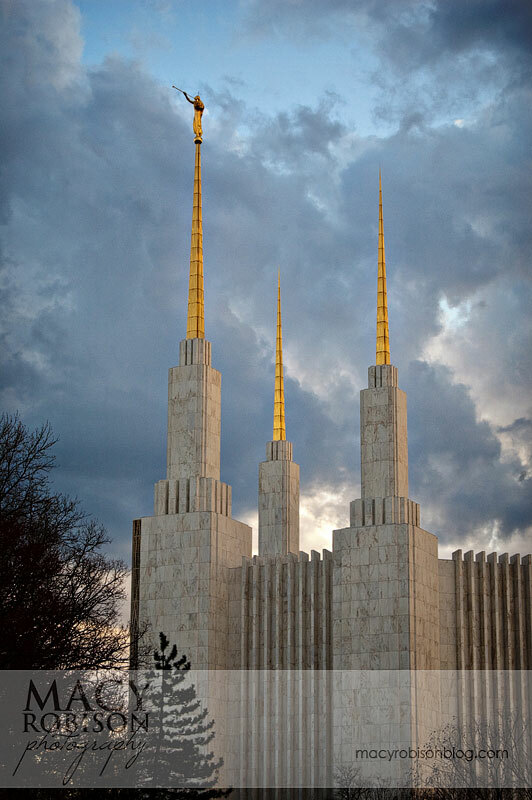 My grandpa took me to Washington DC for my 9th birthday and one of the things we did was go to the Visitor's Center on the temple grounds. 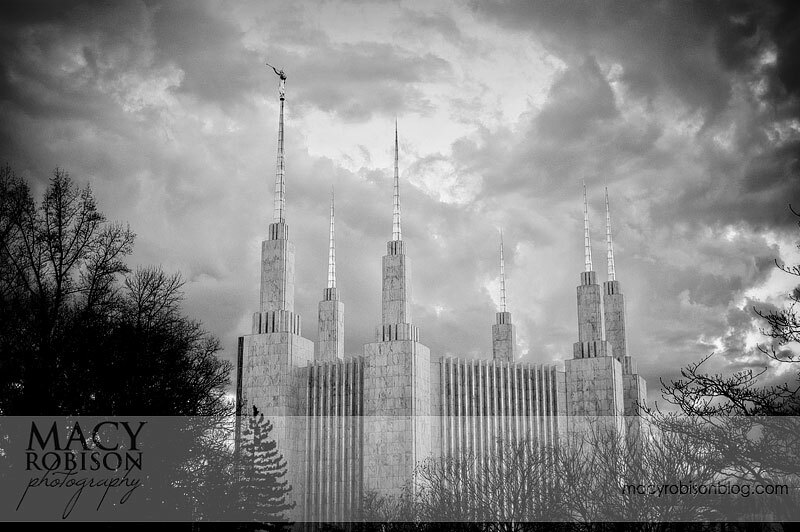 I thought it was so beautiful, and loved that it was so different from the temples in Utah that I was accustomed to seeing. I've been back on several occasions, but didn't have any pictures of the building that I love. 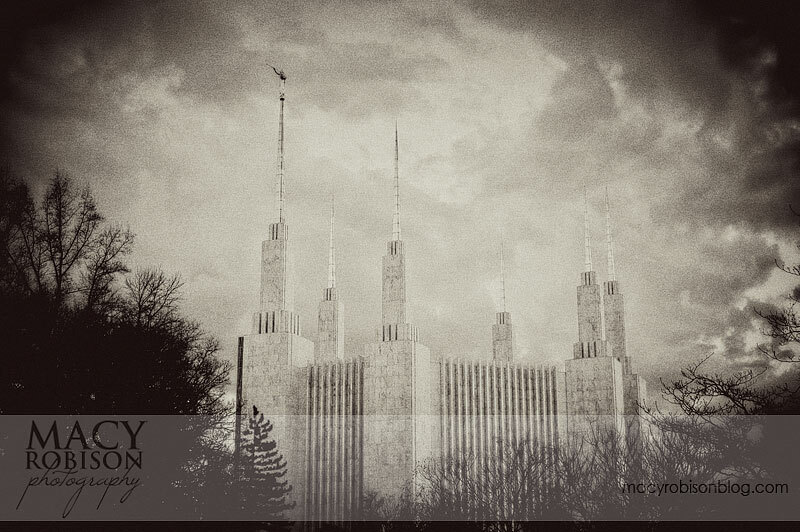 I had the chance to take pictures at the Washington DC Temple on my recent trip. We headed out with my brother's family, hoping to arrive about an hour before sunset when the light is really warm and yummy. It wasn't exactly the light I was hoping for, because it was cloudy and windy - but because it was cloudy and windy, I ended up with a lot of different looks as I walked around the building. At some points, the sun was behind the clouds, and everything was blue and gray. 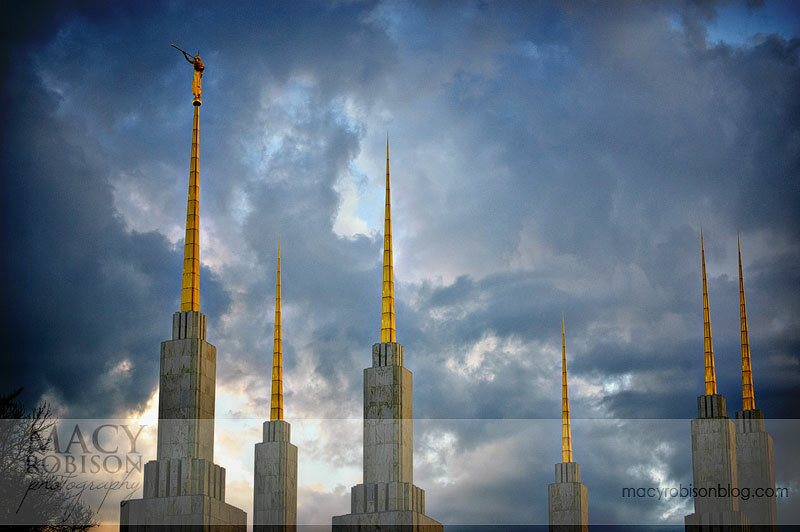 Then the sun would break through and hit certain parts of the building and turn everything a warm, golden color. I finally have a picture I love - several of them actually. I'm going to break them up into a couple posts this week so I don't completely overload this blog post with pictures. This first post is of pictures taken from the Visitor's Center. Not sure which version I like better of this next picture. Black and white? My friend Dana commented on the blue skies I had for my first two sets of temple pictures (seen here and here). When I first saw the clouds in the sky, I was a little disappointed not to have clear blue skies. But now I'm really loving the texture and the depth of these clouds.